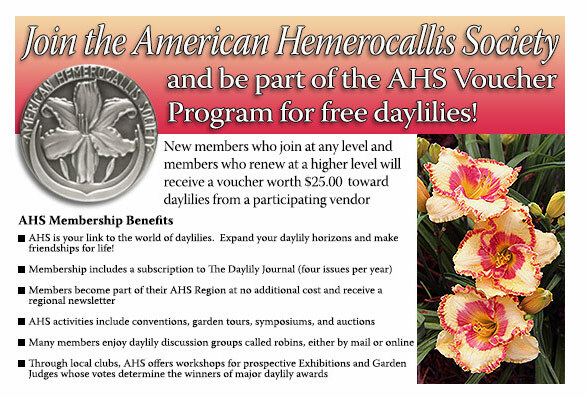 The American Hemerocallis Society enourages anyone interested in growing daylilies to join the AHS. The society has two ongoing membership incentive programs. One for individuals, and one for local daylily clubs. You'll find information about both the AHS Voucher Program and the AHS Club Recognition Program below. First, however, let's look at some reasons for joining the AHS. 2. AHS members can win show awards at Flower Shows, Tri-Color Design Awards! 3. AHS members can vote for their favorite cultivars in the Regional Popularity Poll. clubs have to pay per copy. AHS registration database of all Daylilies, and other great information. only ones that can vote on prestigious awards for the AHS. articles, plant photos and people photos are available as well. So, please consider joining the AHS. There are many good reasons and we would love to have you join us. 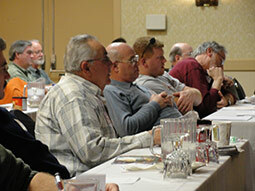 QUESTION: Why join the American Hemerocallis Society? "Half of my buds dry up before they bloom. How can I stop this?" "What fertilizer works best in this area, and when and how do I apply it?" "I moved across the country. What daylilies grow best here and where can I buy them"? "I have a gorgeous seedling. How can I register it?" "How do I get my blooms ready for a daylily show?" You can find answers to these questions – and thousands more - inside the friendly world of the American Hemerocallis Society. My local club members say they take advantage of different parts of AHS. One gardener new to daylilies likes the quarterly Daylily Journal, with its photos of new cultivars and how-to articles on daylily care. Others say they enjoy selecting new daylilies from the catalogs sent to members by hybridizers as well as taking advantage of the $25.00 plant voucher offered by some hybridizers for first time membership. 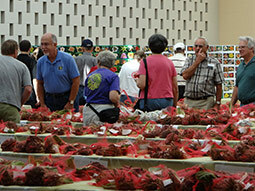 They also love the low prices and high quality of the plants offered at club sales and regional auctions. 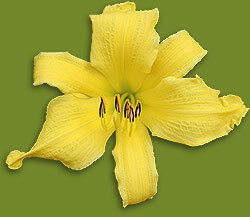 One local hybridizer can't do without the daily posts of daylily-growing information on the AHS e-mail robin. Another joined AHS to exchange information with other national and international hybridizers, and so he can place his new "babies" in other regions to see how they perform in different climates. Most important, everyone says, are the long-lasting friendships, sometimes with people in other states and countries. AHS members are the most interesting, friendliest people around… willing to listen, to visit your garden, to cheer you on, and to pitch in to get big jobs done. Of course, you miss all this…if you're not a member! This was written by Eloise Koonce, a member of the Ombudsman committee and, a lifetime AHS member since 1982, along with her daughter Ann, a new AHS member, to offer insight to this question. They are also members of the Desert Daylily Society in Scottsdale, Arizona. The AHS Voucher Program - for individuals or couples. To encourage new members, and as an incentive for current AHS members to renew their memberships for 3 years, the AHS and some dedicated daylily nurseries have partnered to create the AHS Voucher Program. When you join the AHS, or renew your membership for 3 years, you will receive a voucher that may be redeemed at participating daylily nurseries. Vouchers are worth $25.00. The list of 2017 Voucher Vendors is available HERE. Follow the link on the left above to join the AHS. Come for the flowers. Stay for the people. The AHS Club Recognition Program was started a number of years ago to recognize those local daylily clubs with the most AHS members. The Program consists of 5 categories for clubs that have a membership level of 20 members or more. If a club has all AHS members, it is considered 100% and will be a platinum level club. The 5 levels are shown below. 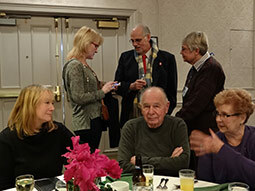 The Recognition Program is an annual program and clubs must send in their club rosters (preferably in an Excel or Word format) showing an asterisk or some other designation for those members who are AHS members to both Pat Mercer (AHS Executive Secretary) and Maureen Valenza (Membership Chairman) for validation. The club will then be notified by the Membership Chairman of their designated status. 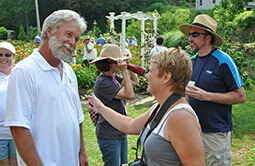 Their emails are secretary@daylilies.org or membership@daylilies.org. Those clubs that have achieved the above status will be recognized in the AHS Journal and the AHS Website under each Region. For those clubs that are in the Gold and Platinum levels they will be entered into a drawing to win $500 which will be announced after the Board of Directors Fall Board Meeting. The $500 will be used by a club to purchase from one of the participating Voucher Program hybridizers. All postage will be the responsibility of the club. The club can choose more than one participating voucher nursery for their plant orders. After the club orders their purchases they should notify the Membership Chairman to who they ordered their plants from for AHS records. 1. Add an AHS membership to a club’s auction. and hope to encourage them with a lifelong hobby that will keep on giving. 3. Give as an award for a club member that shows up for all the meetings. 4. Give to a club member as a special “thank you” for going above and beyond. 5. Give to a club member who has been the longest member for the club. 7. 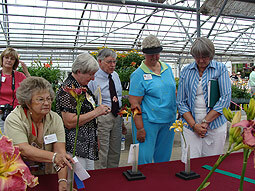 Give to a club member that is the Flower Show Chairman that year. 8. Give as a Christmas exchange gift. 9. Give to a family member who is an avid gardener. © Copyright 2017 by the American Hemerocallis Society, Inc.